UD's Counseling & Life Services: 2nd Floor of Peters Commons, walk-in or schedule an appointment Monday-Friday, 8:00 a.m. - 5:00 p.m.; Dr. Amy Baus, Dr. Tabitha Bartelme, or Mr. Giovanni Demezier, 563.589.3911; After Hours, Weekends, and Holidays calls are answered by our confidential answering service. Toll Free hotline 24 hours/7 days per week, the crisis line is provided by the Hillcrest Family Service Crisis Team; all calls are confidential. *** Please be advised that e-mail is not considered a secure form of communication; confidentiality cannot be guaranteed if you forward information of an urgent nature. UD's Counseling & Life Services' staff only monitor and respond to e-mail during regular office hours. Students may request to speak to a counseling team member immediately through our confidential answering service. The University has a variety of counseling options available and seeks to provide opportunities for personal growth and to assist students who have specific emotional, social, academic, spiritual, vocational, or personal concerns. Members of the Student Life staff are trained for a variety of counseling needs. Appropriate referrals will be provided for students needing long-term personal counseling and/or other psychiatric services. On-campus counseling is confidential and provided at no cost to students. The UD Counseling Team members can assist with referrals to Off-Campus Programs and/or Services for such issues as; Alcohol and other Substance Abuse, Anxiety, LGBTQ, Debt Management, Depression, Eating Disorders, Gambling, Pregnancy, Stress Management, and Other Concerns. Assistance with off-campus referrals is confidential and provided at no cost to students. The University of Dubuque's Counseling Services mission fits integrally within the University's learning community. We are committed to a student-centered, developmental approach in order to enhance and support students in their personal, educational, and vocational goals. The Counseling Services also works to enhance the well-being of all those in the university community by providing educational opportunities, consultation to faculty and staff, student advocacy, outreach programming, and retention services. Support the academic mission of the university and the academic success of students by providing quality personal and career counseling. Provide educational programming and consultation services which emphasize the developmental needs and issues of students. Increase services to a diversity of student needs and population. Retain a high quality service and assist in creating a positive work environment. Create and maintain collaborative relationships and partnerships within the Department of Student Life, as well as, academic departments, student groups, and organizations. Utilize ongoing assessment and existing data to develop, enhance, and modify services. 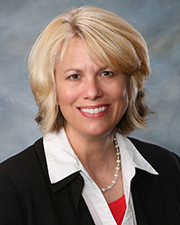 Amy Baus, Psy.D., 207 Peters Commons, Student Life, ABaus@dbq.edu, 563.589.3132. For after hours, weekends, and holidays, all calls are answered by our confidential answering service. Dr. Baus has over twenty-three years of experience as a service provider within the following capacity: inpatient, outpatient, partial, and residential treatment services. She has over seventeen years experience teaching in higher education within the field of psychology and has worked within student affairs for the past nine years. Dr. Baus is on campus during the academic year (August-May) Monday-Friday and Summer Sessions (June and July). Services she provides on the UD campus: Advocacy, Crisis Management, Initial Assessment, On-Campus Referral, Off-Campus Referral, Short-Term Vocational Counseling, and Mental Health First Aid training. 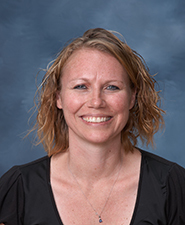 Tabitha Bartelme, Psy.D., 205 Peters Commons, Student Life, TBartelme@dbq.edu 563.589.3253. For after hours, weekends, and holidays, all calls are answered by our confidential answering service. Dr. Bartelme has experience as a provider of mental health counseling in the following settings: outpatient, residential treatment services, and crisis hotline. She has worked as a Marriage and Family Therapist and has over nine years of experience implementing health & wellness prevention programs. Dr. Bartelme is on campus during the academic year (August-May). Services she provides on the UD campus: Advocacy, Crisis Management, Initial Assessment, On-Campus Referral, Off-Campus Referral, and Short-Term Personal Counseling. Giovanni Demezier, M.S., 206 Peters Commons, GDemezier@dbq.edu, 563.589.3911. For after hours, weekends, and holidays, all calls are answered by our confidential answering service. 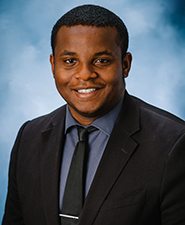 Mr. Demezier has experience in mental health counseling and crisis intervention. He has also been trained in Mental Health First Aid and advocacy for victims of sexual assault. Mr. Demezier is on campus during the academic year (August-May) and Summer Sessions (June and July). Services he provides on the UD campus: Advocacy, Crisis Management, Initial Assessment, On-Campus Referral, Off-Campus Referral, and Short-Term Personal Counseling. Rev. Jim Gunn, M.Div., 203 Blades Hall, JGunn@dbq.edu 563.589.3582. Rev. Gunn is on campus during the academic year (August-May); his schedule may vary. Services he provides on the UD campus: Advocacy, Pastoral Service, Spiritual Counseling, On-Campus Referral, and Off-Campus Referral. Rev. Beth McCaw, D.Min., 208 Severance Hall, BMcCaw@dbq.edu 563.589.3390. Rev. McCaw is on campus during the academic year (August-May); her schedule may vary. Services she provides on the UD campus: Advocacy, Pastoral Service, Spiritual Counseling, On-Campus Referral, and Off-Campus Referral. As situational events may arise, the UD Counseling Team is prepared to receive assistance to better serve the University of Dubuque Campus Community and its crisis response needs through the following means: the American Red Cross Dubuque Chapter's Mental Health Response Team, the Small College Counseling Consortium members from Dubuque colleges, the Dubuque Community School District counselors, and other Dubuque community mental health professionals.